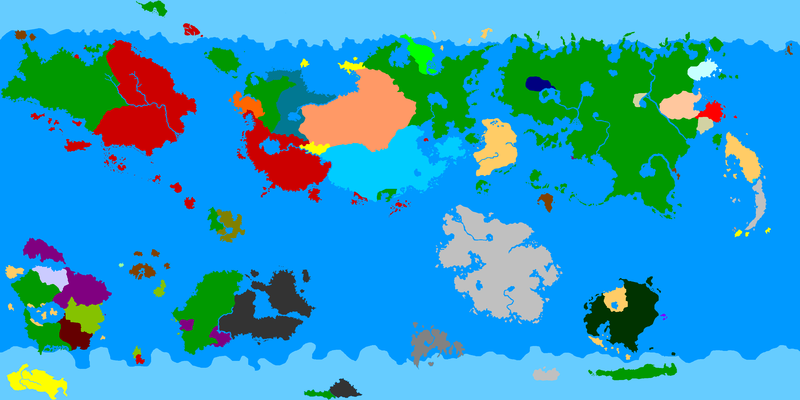 The simple claims version of the political map of MCS's world (Micras), made in MS Paint, this is used to make claim to land using the claims form and posting it on the forum. 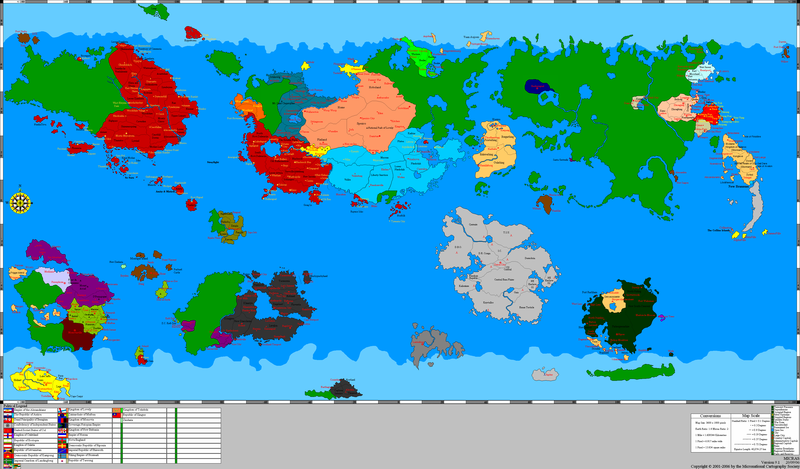 This map is updated roughly every week as more nations are added, some leave and some grow or contract. 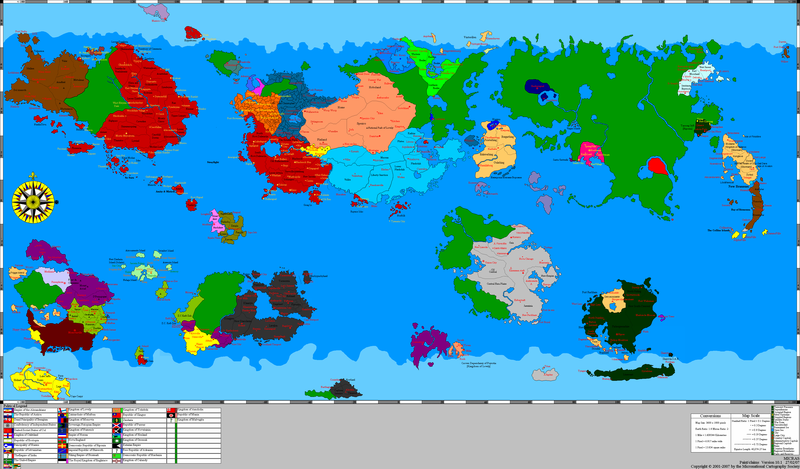 This is the current special map, created and kept up to date to the claimsmap by our special-map cartographer, Pawel. 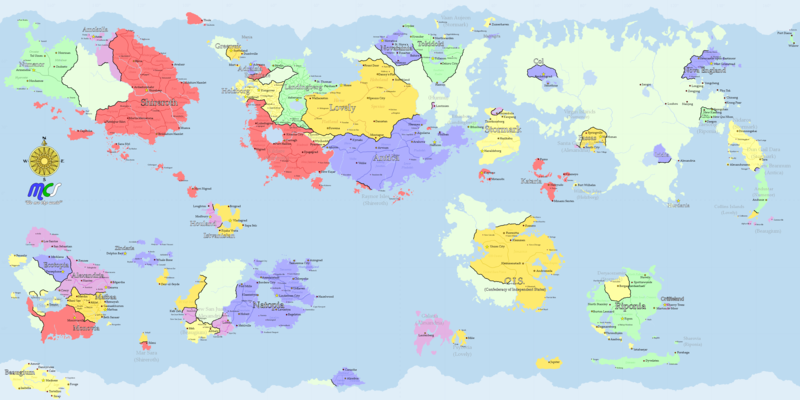 The special map is a version of the claimsmap designed to be more aesthetically pleasing than the ordinary claimsmap. 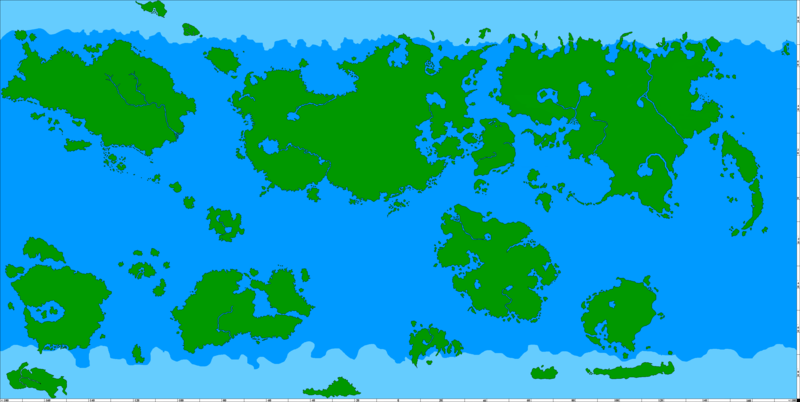 This is a layered copy of the normal claims map in the friendly and open source .xcf format used by the GNU Image Manipulation Program (GIMP for short). 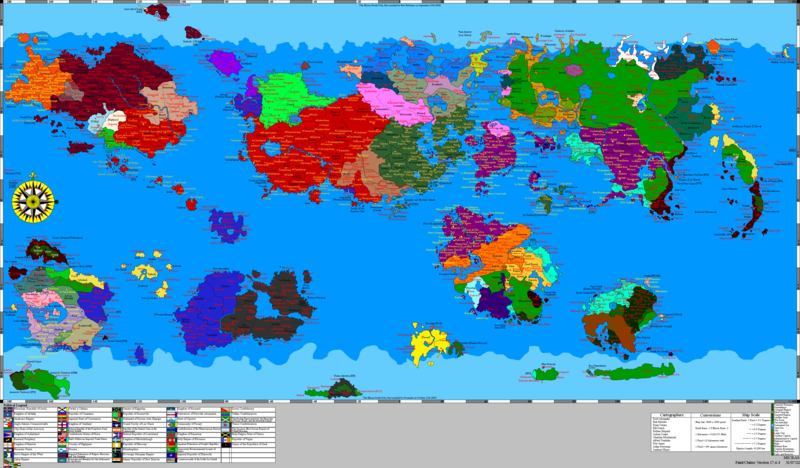 It can be used to make prettier maps or caclulate basic statistics such as how much land belongs to each nation. 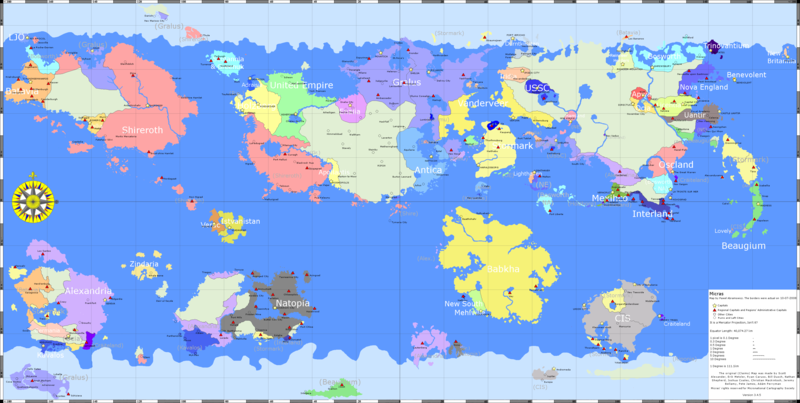 The physical map provides a topographical display of the world, where colour shade distinguishes higher elevations from the lowland plains. The resource maps provide a rough outline of where major deposits and resources lay across the planet. They used to be on this page but as more were made they moved to their own page. 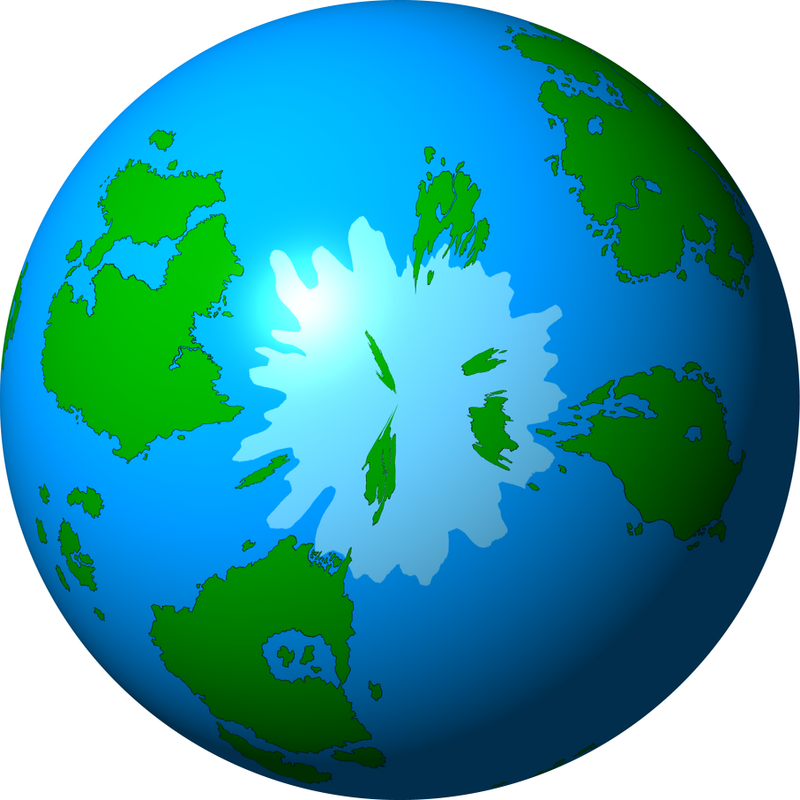 A north polar projection of Micras. 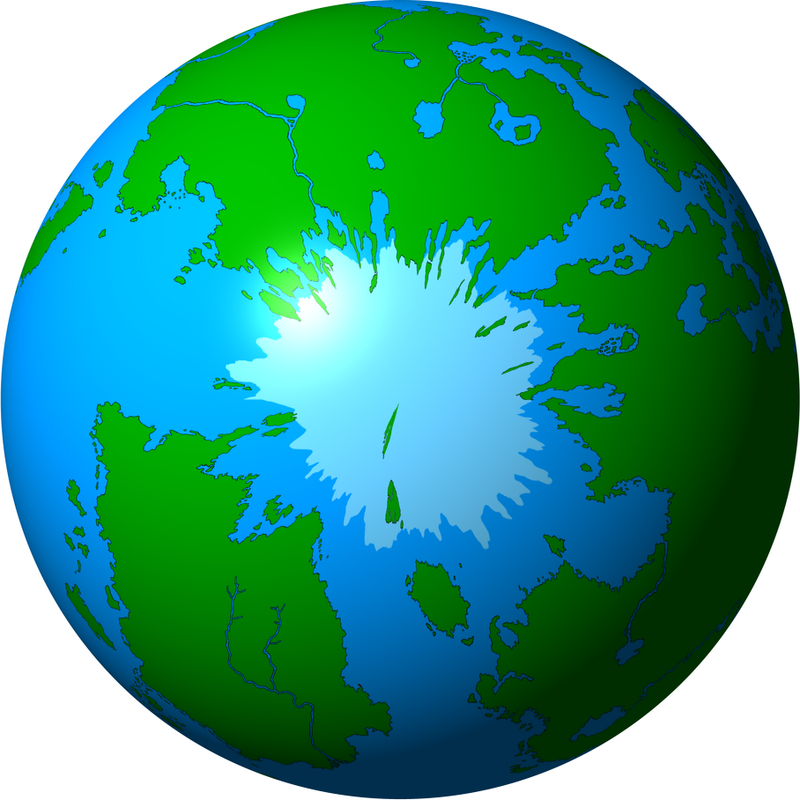 A south polar projection of Micras. 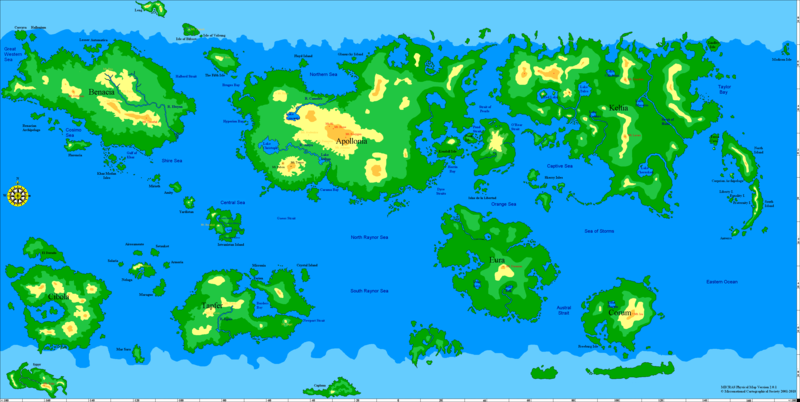 A blank map for use in the creation of various, mainly statistical, maps.